Firefighters from Chorley, Leyland and Penwortham were called to reports of a road traffic collision on Ackhurst Road, Chorley where a vehicle had collided with an external gas insulation unit resulting in a fracture to the gas installation. 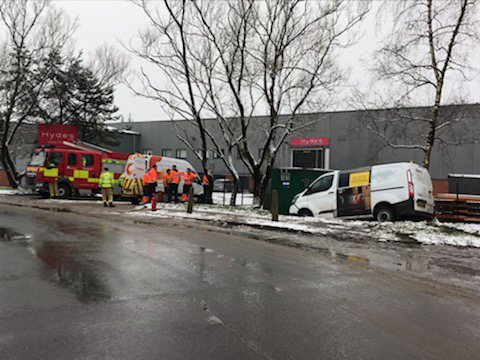 Cadent gas engineers are currently on site to repair the fracture and firefighters are on scene on standby to monitor the situation and assist in the event of a gas leak. As of 10:35hrs Cadent engineers are advising that there might be some disruption to the gas supply to nearby industrial units around the Common Bank area. Updates will be sent as soon as further information is available. There are no casualties reported at this incident.